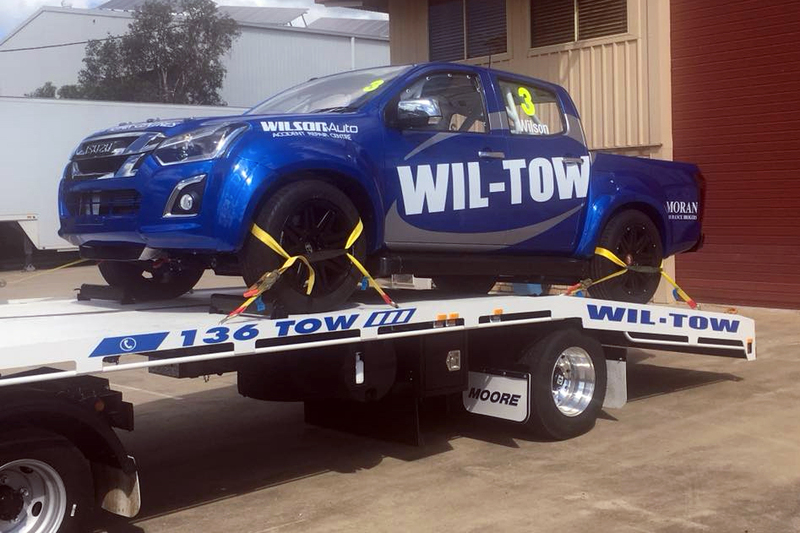 The first Isuzu D-MAX SuperUte has taken a key step towards its racing debut, undertaking a smooth shakedown at Norwell on the Gold Coast. Owner/driver Steve Wilson steered the Ross Stone Racing-prepared D-MAX for its two-hour shakedown at the Paul Morris-owned driving centre on Wednesday. The Isuzu missed the inaugural ECB SuperUtes Series round at Adelaide earlier this month, but will tackle the April 12-13 Winton test before Round 2 at the Victorian circuit in mid-May. “It was only a shakedown, but everything went really well, we had no major issues and were really happy,” Wilson told Supercars.com. “It’s very different to drive than the V8 Ute, especially with the turbo coming in and out of the boost, but it felt good. “The next time it’ll run will be the Winton test and then we’ll go forward from there. But based on yesterday, it feels good to go. “We’ve benefitted from a few things that Ross and the guys learnt with the other cars in terms of overheating, so we had no issues there." The Isuzu adds to a dual-cab, turbo-diesel field featuring the Ford Ranger, Mitsubishi Triton, Toyota Hilux, Holden Colorado and Mazda BT-50. Although Wilson’s position as the sole Isuzu runner has brought its challenges, the former V8 Ute racer is happy to bring a new marque to the category. “I’m a fan of the Isuzu ute and have a few of them for business purposes, so it was natural to go down that path,” he said. “If someone else had built one as well it might have helped the development a bit, but it’s good to bring another make to the category. “I watched Adelaide on TV, which was a bit frustrating not to be out there, but it looked good and makes great commercial sense, so I’m sure it’ll grow. Craig Woods (Toyota) leads the series after Adelaide ahead of Toby Price (Mitsubishi) and Ryal Harris (Mazda).